A particularly large one and a half piece sheepskin rug. Attached end to end with a typical length of about 137cm (54in.). An ideal length for draping over your favorite armchair or beside the bed. 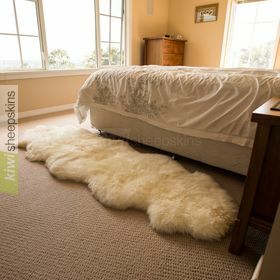 Extra-large luxurious one-and-a-half pelt sheepskin rug. Ideal for draping over a favourite armchair or as a bedside rug. Excellent value, naturally soft and comfortable using a gentle tanning process. Comments from delighted customers who have purchased this 1.5-pelt size of rug. For many more testimonials, see other sizes of rugs. I received my rug [1.5 pelt Ivory White] today and I'm overjoyed with the quality, size and the amount of comfort, it's truly amazing. The prompt delivery also amazing. Thank you it's money well spent. Thank you very much to your company! 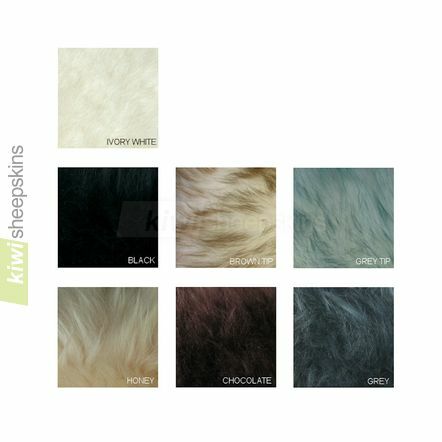 I am very pleased with this product [1.5 pelt Chocolate], this is exactly what I expected! Excellent quality and it fits perfectly in the room for which I wanted it. And it arrived just one week after shipping. After reading some of the glowing testimonials I figured maybe they were from countries where they don't know as much about sheepskins as we Australians. Nothing to get too excited about. That was until my absolutely beautiful sheepskin rug arrived a mere 5 days after ordering it and that included a weekend. It is beyond beautiful...... it glows. I have it draped softly over a small couch and it has given warmth and softness to a super modern, hard surfaced room. I only have one problem now and that is that my golden retriever is as entranced as I am with the rug. Thankyou. I would like to say a massive thank you for my order that arrived today, wow what great service 10/10. 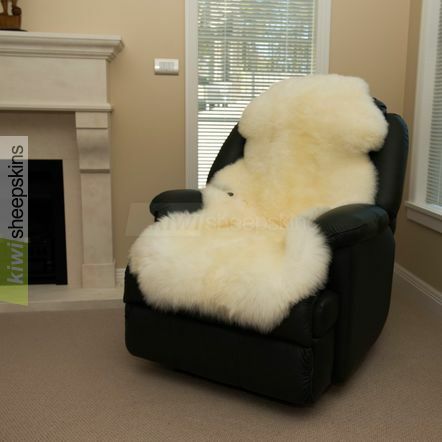 I bought the sheepskin rug [1.5 pelt Ivory White] that fits into a chair, because my husband is always cold and always complains his back is cold, well he loves it. In my opinion your products and your service is second to none. Thank you once again. 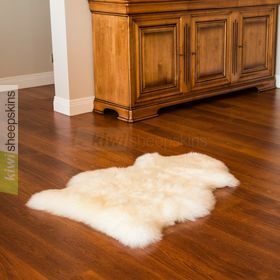 I ordered your 1.5 pelt classic premium sheepskin rug and just received it a couple days ago. Thank you so much for such an amazing "rug" (I use it on my couch to lay on while sitting). It's the most luxurious and softest sheepskin I've ever felt and owned. 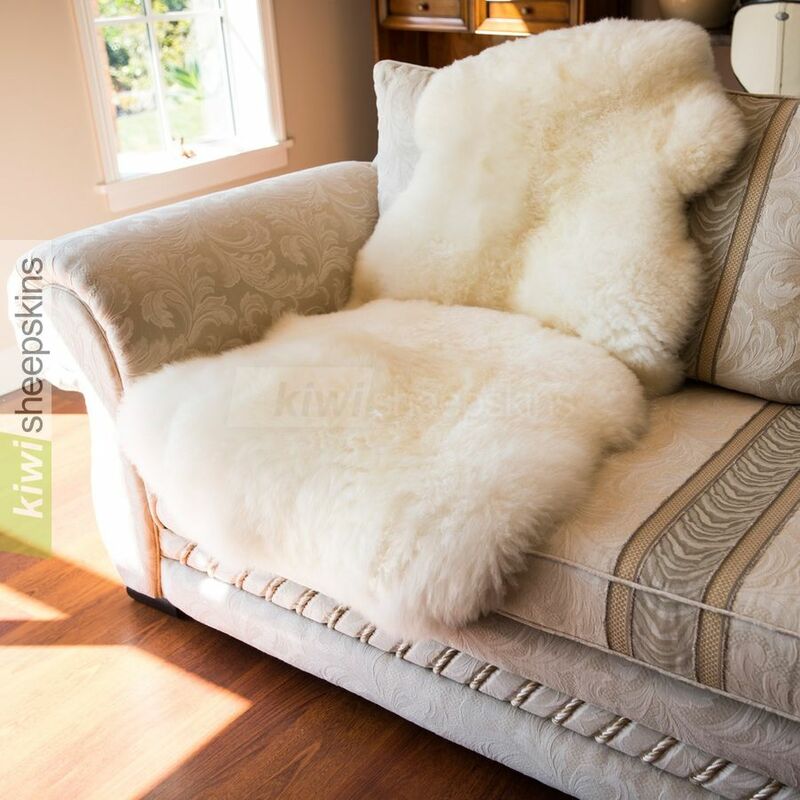 Thank you for my sheepskin [1.5 pelt Grey], it will be helpful for my husband when he has his operation and into recovery. It is truly beautiful and a wonderful colour. 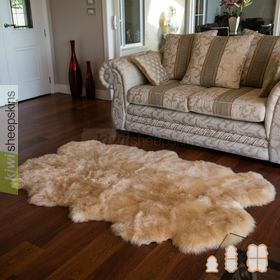 Thank you for the sheepskin, it arrived within 5 days, and it is a lovely product, I am absolutely delighted with it. Received my item today (1.5 long hair ivory pelt). Absolutely beautiful. So glad I went with you. Splendid quality. Thanks again. The sheepskins arrived today and they are just beautiful. They fit the chairs like a glove and will be very comfortable. Thank you for the way in which you have helped me to obtain these sheepskins. I have never sent a letter of commendation before. I am VERY impressed by your products, and the rapidity of my receiving them! WOW!!!! Thank you so very much. I look forward to doing business with you for many years to come. I will recommend you to as many people as I can. Keep up the great work!!!!! Thank you, I am very pleased with my sheepskin, it is nice and soft, and quality of wool is far better than I have seen in a long time. Will be back later to place orders for my two children as Xmas gifts. Fantastic, well done. Got my 2 new sheep skins, and I absolutely love them. They are simply perfect. I cannot express enough gratitude for your patience and diligence in picking them out. I even try sleeping with it under the sheet and it was great. I'm thinking of getting the bigger rug now. Thank you so much. 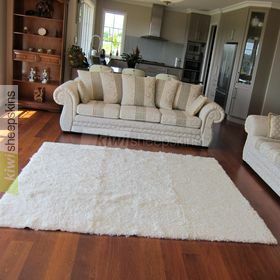 See more testimonials for our Sheepskin Rugs range.